The bestselling “The Borgias and their Enemies” by Christopher Hibbert is looming large on my reading list, but as I haven’t got their yet, here is an excellent, balanced review to pique your interest. I’d be interested to hear any other opinions out there; I’ve enjoyed Hibbert previous work, so here’s hoping! Ironically published to coincide with the 150th anniversary of Italian unification, David Gilmour explores the history of the Italian peninsula and “nation” in an effort to see if this anniversary should be celebrated at all. 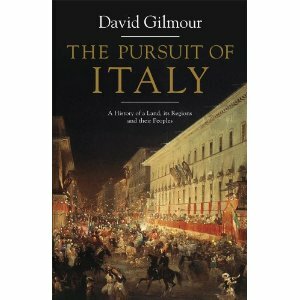 Gilmour, biographer of Giuseppe Tomasi di Lampedusa﻿﻿ of The Leopard fame, offers a revisionist appraisal of the course of Italian history in the mould of di Lampedusa himself – highlighting the possibilities lost, opportunities unexplored, and the tragic consequences of rationalism and progression. Gilmour unashamedly professes the fact that this is not an academic history, it is a work of personal interest and idiosyncrasy which focuses on the areas that the author feels important or illustrative; this lends the book a readability and fluidity that other surveys lack, and allows Gilmour’s natural narrative verve and style come to the surface. The significance of geographical and topographical diversity across the peninsula upon the history of the Italian peoples is highlighted from the beginning. Italy is located at the centre of the mediterranean, borders delineated by that sea and the Alps and divided by the Apennines from north to south. Although the Po river nurtures a large and rich agricultural plain, the rivers of the land do not greatly aid the trade or communication of its inhabitants. Deforestation and intensive farming have reduced the quality of the soil, especially in the south and in Sicily. Moreover, the natural defenses of the Alps have proved a chimera; passes have been used to invade the rich northern cities since the time of Hannibal. The proximity of both the Dalmatian and African coasts has resulted in many invasions, and crucially, many new ethnic groups entering the peninsula. Greeks, Phoenicians, Arabs, Normans, Spaniards and Germans are just a fraction of the many invading and settling groups that now form part of the Italian make-up. The very centrality of Italy has made it the backyard of many empires, and its geography has hampered unity and national identity. Exploring the medieval and renaissance state formation, Gilmour tries to assess whether national identity has emerged at all, or if it was imposed and imagined by the need to end the torment of invasion and impotency. Although Italian nationalists will be somewhat put out by this subversion of the Risorgimento, the summit of national feeling dreamed of by Dante and achieved by Garibaldi, Gilmour does successfully question the notion of nationalism as the true Italian path. This is an elegant and thoughtful narrative that provokes wider questions about state-formation and identity. Is there room in the multicultural European Union for a Tuscan or Venetian state, or is that romantic and absurd?